Fall always make me think of suede and camel. Maybe it’s the color of the changing leaves, but I associate them with cozy layers and walks through the park with a warm coffee. Camel is easy. It’s a perfect transitional color because it’s a ‘warm hue’. You can wear it with lighter colors (like light wash jeans) as you work your way out of Summer, but it easily pairs with buffalo plaid and thick sweaters in Winter. It’s not a hue that works for everyone, but when it does, you better capitalize on it cuz it’s sophisticated and EASY AF. Pro tip: If you're afraid of the camel tone near your face because it washes you out, a shirt collar is a great visual break. I used to be afraid of wearing monk straps. I think I just associated them with sartorially savvy gents. Not to say I’m not savvy, I’m just not one of those dapper bloggers. I don’t don 3-piece suits on the regular. 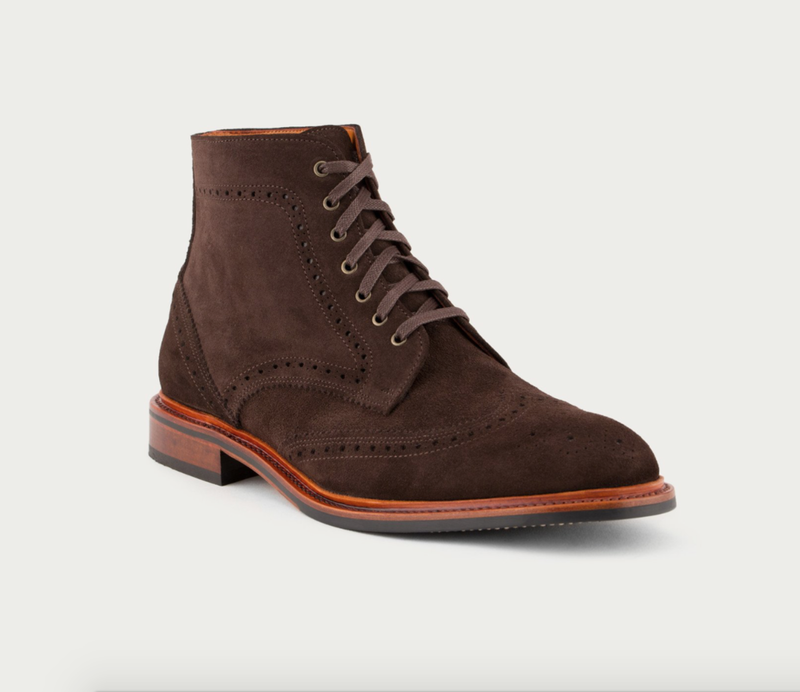 But when I found suede ones from Crosby Square, a whole new world of styling possibilities opened up to me. I could wear them a little more rugged than their shiny leather counterpart. I could still feel cozy and casual while running with the dapper boys. You can’t really get away with wearing a sweat shirt with most leather dress shoes. Suede solves that! For today’s look, I teamed up with Crosby Square to style their new Diplomat monk strap. It combines my favorite suede features with fantastic leather paneling. The result is something in between formal and ruggedly cool (for me, at least). Take a look at a few of their other suede options. Crosby Square has been a long time favorite of mine and they are worth every bit of the investment. You will get a ton of wear out of them! What colors and textures does Fall make you think of?? I’d love to hear how you’re changing your wardrobe with the season! *This post is in partnership with Crosby Square. All thoughts and opinions expressed here are my own.